Hey there, guys! So, as you know from my father’s previous post, I’ll be doing Fandom Fridays from now on! I’ll be making my debut here with a review of the original Spider-Man trilogy. The original comic book character is a young adult, with a struggling freelance job, and a romantic life. Peter Parker works at the Daily Bugle, a fictitious New York newspaper industry, and sells J. Jonah Jameson, the head of the industry, his photographs of Spider-Man. Peter Parker is a genius, he is witty even without the mask of Spider-Man, and he is obviously like a young adult- still learning, still growing, but mature enough to know the difference between right and wrong in controlled situations. Peter Parker’s first love is Gwen Stacy, but then she tragically dies and his new love interest becomes Mary Jane Watson. Now, starting off with Mary Jane is overall a bad idea, since Gwen’s death is an extreme learning experience for him. Especially with how she dies. So having Gwen, one of the most important people in his life, join in the third movie just to be a plot device really wasted her character. And I disliked how Mary Jane had no character development through the entire trilogy. I like how they started off the trilogy. I enjoy how they put in the wrestling career Peter had, and I love Bruce Campbell’s cameo. I don’t like Toby Maquire as Spider-Man, but I feel like he was good anyways. I feel like it was a good idea to start off with the Green Goblin, and even though he’s introduced in the fourteenth issue of Amazing Spider-Man, he is still one of the first villains for Spider-Man. I like how Willem Defoe played him, how you can see the insanity in him when he takes the serum. I enjoy how they wrote him too, how he had motive, but it wasn’t something that made you pity him. I think it was a good move to go with Doctor Octavius next. I love how Alfred Molina played him, and I don’t know who else could play him like Alfred Molina did. I don’t feel like they handled the arms very well, though. In a real life situation, I could hardly believe that a crowd of people would just brush off four gigantic robot arms that happen to be attachable. And I really like Rosalie Octavius. I really dislike the whole I’m-Losing-My-Powers-Because-Of-Relationship-Problems thing in it. I do understand how they were trying to tell how much Mary Jane meant to Peter, but I feel like they could have handled it a bit differently. I really didn’t like the third Spider-Man movie. I didn’t like Topher Grace as Eddie Brock, and as Venom it was worse. The entire movie has a big problem; there are way too many subplots and conflict. With Sandman, Green Goblin, Venom/Eddie Brock, the Gwen Stacy and Mary Jane Watson love triangle, Harry Osborne, and the emo Peter Parker, there are way too many subplots. And Topher Grace as Eddie Brock was an odd decision. I really like Harry Osborn and Flint Marko, but I don’t have much to say about them. I like how they had Harry not be vengeful against Peter by getting a concussion, and his death scene was very touching. I enjoy sympathetic villains, I like how Flint Marko has an actual backstory and serious motives. When he’s forming back into himself after his DNA is changed, the CGI on that part is amazing. It’s so touching, how he tries to grab his locket with his daughter’s picture in it. It has so much life to it, you can see the struggle as he forms. It was incredible. I did not enjoy how they made Venom. I like the textures, and I do like the overall idea, but the thing about Venom is that, to me, the symbiote was using him as just a sort of base to create itself from. He has a very alien look to him. His tongue is unnaturally long, same with his teeth. But with the movie, it wasn’t very impressive. It just didn’t feel like it was enough. Having his face peel away so that Eddie can talk just makes Venom so much less like the actual Venom. The symbiote controls him, but gives Eddie the illusion of being a part of him. I do enjoy how Topher Grace performed with what they gave him, he truly is a good actor, this just wasn’t the role for him. I think the first Spider-Man movie is the best of the trilogy, but it does go into a decline after that. I’ll be reviewing Amazing Spider-Man next week, so do come back! Have a Marvelous weekend! Original artwork by Gabriele Dell’Otto. With the recent release of Amazing Spider-Man 2 (which I have yet to see) I figured I would give my opinion on the first movie in the Spider-Man relaunch. My first reaction to this movie was just how impressed I am by Andrew Garfield’s interpretation of Peter Parker/Spider-Man. For the most part I enjoyed the original Sam Raimi trilogy, but did not like Tobey Maguire’s performance. I thought he never got the character’s intricacies correct and just played him like the stereotypical nerd who just happens to get super powers. He never seemed comfortable when firing off Spider-Man’s trademark quips and in my opinion was not very believable in the dual role. Garfield is now the quintessential live action Spider-Man. He nailed Parker’s awkwardness and the tragedy of his Uncle’s death, plus he perfectly captured the freedom the character feels dressed as Spider-Man with his snappy one liners and seemingly carefree attitude. In my opinion he was as perfect for the role as one could be. We will see him for at least 3 movies and I really look forward to his character progression. The other improvement this movie made was in the female lead. Kirsten Dunst as Mary Jane in the original 3 movies was a terrible choice. Mary Jane is a character that has personal issues but always hides it behind this perpetually positive attitude and outward confidence. Dunst clearly had no clue about the character and portrayed her as a brooding, emo girl which was a terrible decision on her part. To go with Gwen Stacy as the initial female lead in these new movies was not only a great idea, but the casting of Emma Stone was pure genius. Not only does she truly capture the character, but her chemistry with Garfield (I am sure dating in real life helped) really made this movie work on many levels. Ryhs Ifans as Dr. Curt Connors/The Lizard also worked well despite the CGI for the villain being a little off in places. He was a sympathetic villain and played his part in the movie quite well. The rest of the cast really rounded out the movie perfectly. Martin Sheen and Sally Field as Ben and May Parker was a great casting choice as was Denis Leary as Captain Stacy. Stan Lee’s expected cameo was also entertaining as always. As for the movie itself, it was a great start for this reboot. I initially felt it was way too soon to completely recast the movie and pull the Hollywood reboot routine, but it worked out well and I am really looking forward to future installments. 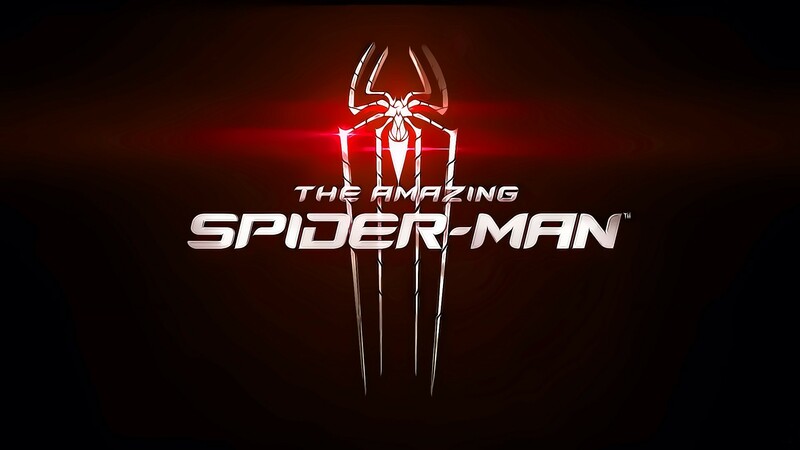 With mixed opinions on the sequel and the fact that the studio seems to be going a little overboard announcing Venom and Sinister Six movies so soon, I cannot help but be a little concerned with the directions the franchise may be going in, but I will remain positive and look forward to more Spider-Man goodness for years to come.